Taoiseach Leo Varadkar insists “nobody will go hungry” despite warnings about the availability of some foodstuffs following a hard Brexit. Mr Varadkar acknowledged Ireland could risk running short of supermarket ready meals and similar pre-packaged foods. Generic medicines also come in “significant” quantities from the UK and are most at risk under a no-deal Brexit scenario. But the Taoiseach insisted preparations for a hard Brexit were being escalated, and that food shortages were not a “huge concern”. He pointed out that Ireland is a food-exporting country and this means “nobody will go hungry”. However, contingency planning to protect medicines supplies has been ramped up by Health Minister Simon Harris, as it looks increasingly likely Britain will crash out on March 29. Ireland is in a unique position as many medicines are manufactured here – and wholesalers already stockpile. Work will be carried out to ensure those stores are sufficient. However, generic medicines come in “significant” quantities from the UK and planning is under way to ensure there are enough in the event of Britain leaving the EU with no deal in 12 weeks’ time. 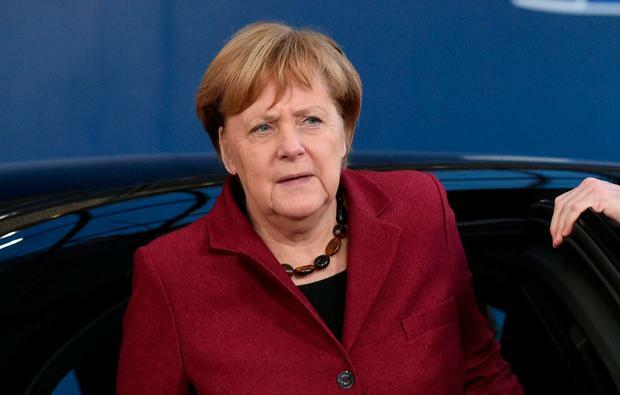 In addition to discussing Brexit contingency plans with his Cabinet, Mr Varadkar has also discussed no-deal planning with German Chancellor Angela Merkel. During a 40-minute call, the pair also discussed how best to help embattled UK Prime Minister Theresa May get her deal through parliament. While the EU is willing to offer assurances to clarify what is contained in the deal, Mr Varadkar appeared to move the responsibility for securing any clarity firmly on the shoulders of Mrs May. “What we both really agreed is that once again this is a problem created in London…and we’re really looking to them for a solution,” he said. Officials in the UK and Ireland will engage this week, with plans for direct communication between Mrs May and Mr Varadkar over the coming weeks. The Taoiseach said it remained his position that the withdrawal agreement could not be revisited. He said any assurances sought by the UK must not undermine the current deal. 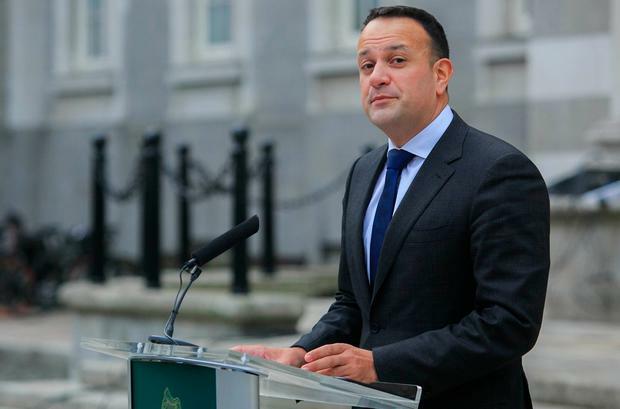 “All along the way we’ve been doing our best to assist the UK in solving the problems that it has been creating for the rest of us and we will continue to do that but there is a limitation,” Mr Varadkar said. Meanwhile, it is now planned to condense all the legislation needed to prepare the country for a no-deal scenario into four ‘Brexit Bills’ . The emergency legislation will not be brought before the Oireachtas until March, however. It is likely the Dáil and the Seanad would need to sit Monday to Friday to get through the legislation. Separately, Ryanair has received a licence from the British aviation regulator to operate within the UK and to non-European Union routes even in the event of a no-deal scenario. Chief executive Michael O’Leary had earlier warned that a disorderly Brexit could ground flights for several weeks after the UK leaves on March 29.